In 1988, one band from New York City broke down every barrier and conception as to what rock and roll is supposed to sound like. 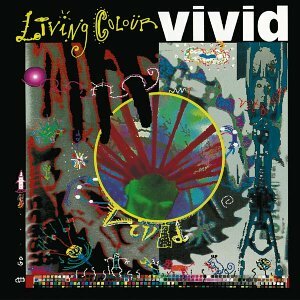 That band, Living Colour, would release the breakthrough record, Vivid, and solidify their position as one of America's best bands - ever. Period. With it's lead off track "Cult of Personality" the band would travel the world and every radio in between. The song, an instant classic, still gets rotation today on major rock radio stations. Living Colour became the first African-American metal / rock band that proved they had the chops to go up against their counterparts and legends like Led Zeppelin and Black Sabbath. With a rhythm section that defined all logic plus the guitar work of Vernon Reid and vocals from Corey Glover, Living Colour were also mixing funk, jazz, and soul into a genre that stole from their heroes. Vivid was a document of life about growing up and trying to make it in New York City as a young black man. Songs like "Open Letter (To a Landlord)," "Middle Man," "Which Way to America?," and "What's Your Favorite Color," they were challenging the system and making an audience really pay attention to what they had to say. As the years went on, many have brushed the band off as a novelty but tastemakers and fans prove otherwise. They were some of the pioneers of 90s alternative and to this day, blow the roof off any venue they perform in. Nearly 30 years later, the message in Vivid is still clear and resonates more than ever.